In the early 1990s, McEntire branched into film starting with 1990's Tremors. She has since starred in the Broadway revival of Annie Get Your Gun in 2001 and in her television sitcom, Reba (2001-07) for which she was nominated for the Golden Globe Award for Best Performance by an Actress in a Television Series-Musical or Comedy. 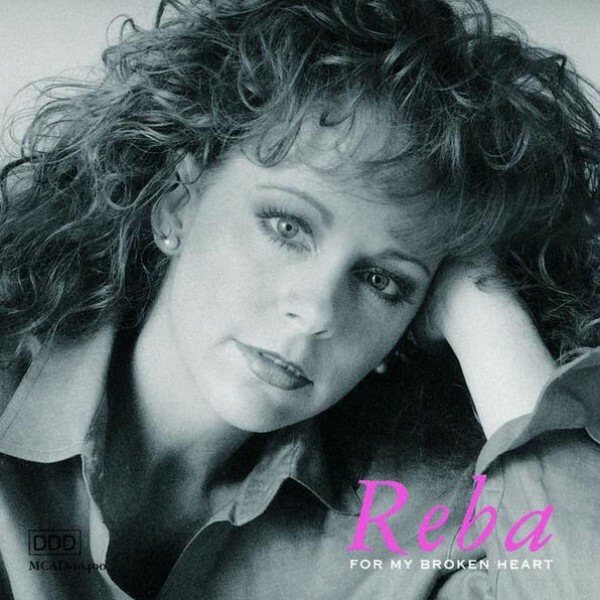 Reba Nell McEntire was born March 28, 1955, in McAlester, Oklahoma, to Jacqueline (née Smith; born November 6, 1926) and Clark Vincent McEntire (November 30, 1927 - October 23, 2014). Her father, and her grandfather, John Wesley McEntire (February 19, 1897 - February 13, 1976), were both champion steer ropers and her father was a World Champion Steer Roper three times (1957, 1958, and 1961). John McEntire was the son of Clark Stephen McEntire (September 10, 1855 - August 15, 1935) and Helen Florida McEntire (née Brown; May 19, 1868 - May 16, 1947). Her mother had once wanted to be a country-music artist but eventually decided to become a schoolteacher, but she did teach her children how to sing. Reba reportedly taught herself how to play the guitar. On car rides home from their father's rodeo shows, the McEntire siblings learned songs and harmonies from their mother, eventually forming a vocal group called the "Singing McEntires" with her brother, Pake, and her younger sister Susie (her older sister Alice did not participate). Reba played guitar in the group and wrote all the songs. The group sang at rodeos and recorded "The Ballad of John McEntire" together. Released on the indie label Boss, the song pressed one thousand copies. 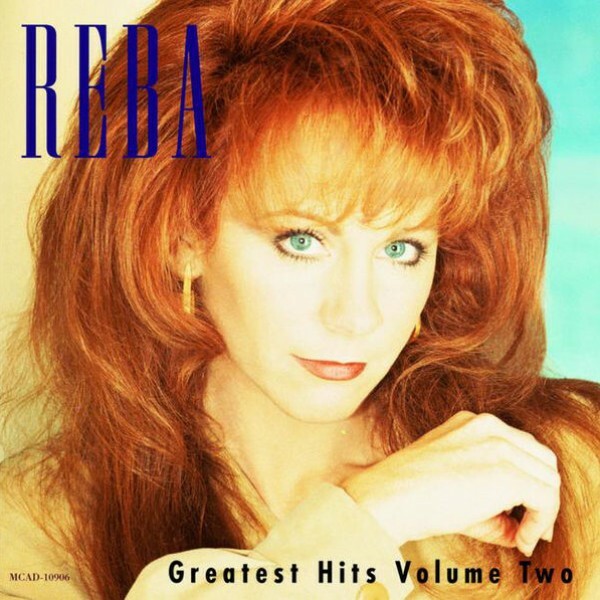 Her thirteenth album, Reba, was issued in 1988 and was not well received by critics, who claimed she was moving farther away from her "traditional country" sound. 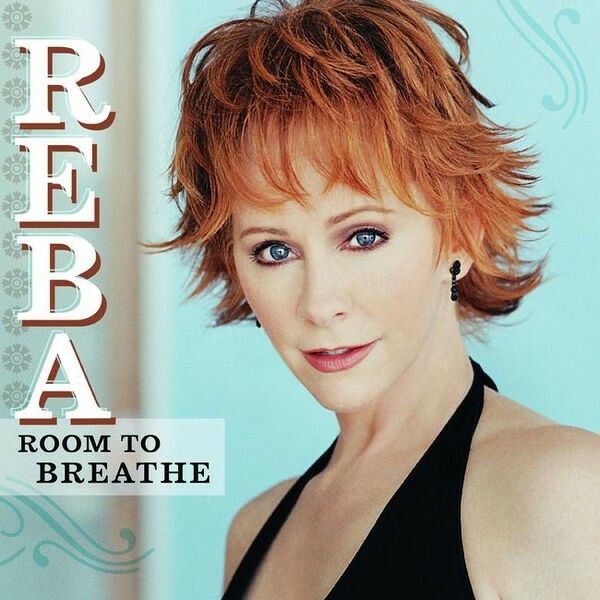 Stereo Review disliked the album's contemporary style, stating, "After years of insisting that she'd stick to hard-core country 'because I have tried the contemporary-type songs, and it's not Reba McEntire?it's just not honest', McEntire...has gone whole-hog pop. The album peaked at No. 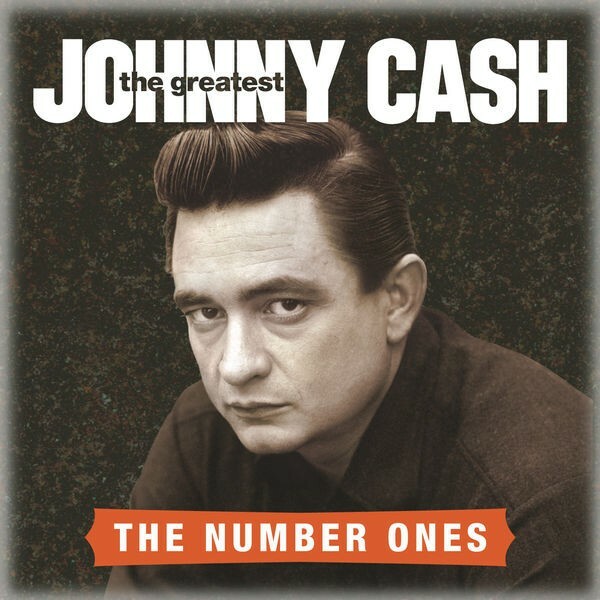 1 on the Top Country Albums chart and remained there for six consecutive weeks. Okay, so maybe that's not so terrible." Although it was reviewed poorly, the album itself was certified platinum in sales and produced two number-one singles: "I Know How He Feels" and "New Fool at an Old Game". In addition, the release's cover version of Jo Stafford's "A Sunday Kind of Love" became a Top 5 hit on the Billboard country music chart. Also in 1988, McEntire founded Starstruck Entertainment, which controlled her management, booking, publishing, promotion, publicity, accounting, ticket sales, and fan club administration. The company would eventually expand into managing a horse farm, jet charter service, trucking, construction, and book publishing. In December 1992, McEntire's seventeenth studio album, It's Your Call, was released. It became her first album to peak within the Billboard 200 Top 10, reaching No. 8. McEntire commented that the record was a "second chapter" to For My Broken Heart, while music reviewers such as Alanna Nash of Entertainment Weekly disagreed, writing, "In truth, it isn't nearly as pessimistic as its predecessor?and unfortunately it isn't anywhere as involving." Nash called the album's title track?which peaked at No. 5 on the Billboard Hot Country Singles & Tracks chart? "one of those moment-of-truth sagas at which McEntire excels. In the song, a wife answers the phone to find her husband's girlfriend on the other end and seizes the opportunity not only to inform her mate that she knows of his affair but to give him the ultimatum of choosing between the two. She's not the only one who's waitin' on the line, she sings, handing her husband the phone. It's your call." Christopher John Farley of Time magazine wrote that the album ranged from being "relaxing" to "cathartic", and "these vocals from one of the best country singers linger in the mind". The album's preceding singles? "The Heart Won't Lie" (a duet with then-labelmate Vince Gill) and "Take It Back"?were Top 10 hits on the Billboard country chart, reaching No. 1 and No. 5 respectively. Like its preceding album, It's Your Call sold over a million copies, eventually certifying by the RIAA in sales of double-platinum. Despite negative reviews, Starting Over was certified Platinum by the Recording Industry Association of America within the first two months of its release, but only one single?a cover of Lee Greenwood's "Ring on Her Finger, Time on Her Hands"?was a Top 10 hit single. 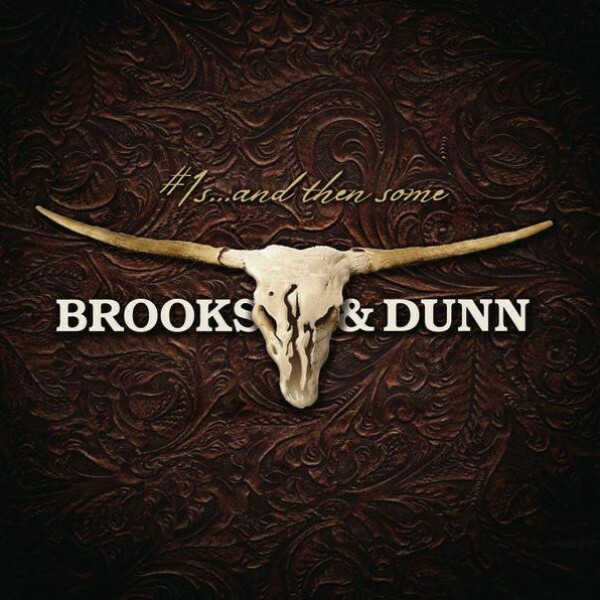 1997-98: What If It's You and "If You See Him"
In 1997, McEntire headlined a tour with Brooks & Dunn that led to the recording of "If You See Him/If You See Her" with the duo the following year. This song was included on McEntire's If You See Him album and Brooks & Dunn's If You See Her album, both of which were released on June 2. Thom Owens of AllMusic reported in its review that both album titles were named nearly the same as "a way to draw attention for both parties, since they were no longer new guns?they were veterans in danger of losing ground to younger musicians". The duet reached No. 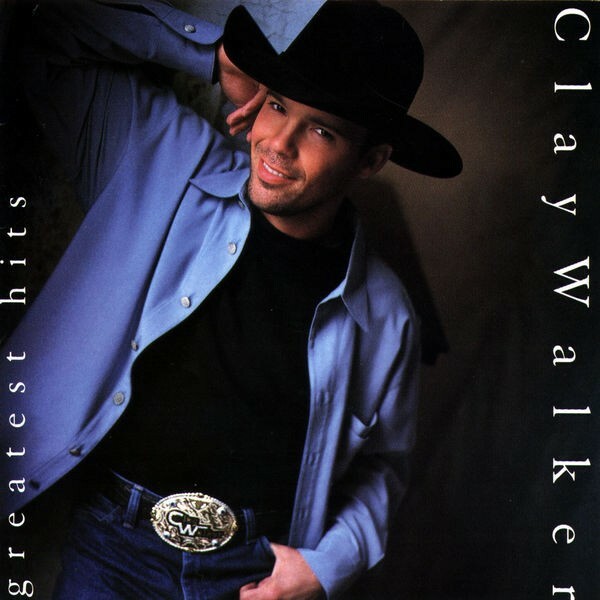 1 on the Billboard Hot Country Singles & Tracks chart in June 1998 and spawned an additional three Top 10 hits during that year: "Forever Love", "Wrong Night", and "One Honest Heart". In addition, If You See Him peaked within the Top 10 on both the Billboard 200 and Top Country Albums chart, reaching No. 8 and No. 2, respectively. In 1999, McEntire released two albums. In September she issued her second Christmas album, The Secret of Giving: A Christmas Collection, which eventually sold 500,000 copies in the United States. In November, her twenty-second studio album, So Good Together was released, spawning three singles. The first release, "What Do You Say" and the second release, "I'll Be" both reached the Top 5 on the Hot Country Singles & Tracks chart. So Good Together also brought her into the Top 40 of the Billboard Hot 100 for the first time, peaking at No. 31. The album would eventually certify Platinum by the end of the decade. What Do You Say became her first crossover hit as well. Unlike any of her previous albums, So Good Together was produced by three people, including McEntire. Entertainment Weekly commented that most of the album's material was "an odd set?mostly ballads, including an English/Portuguese duet with Jose e Durval on Boz Scaggs' 'We're All Alone'". 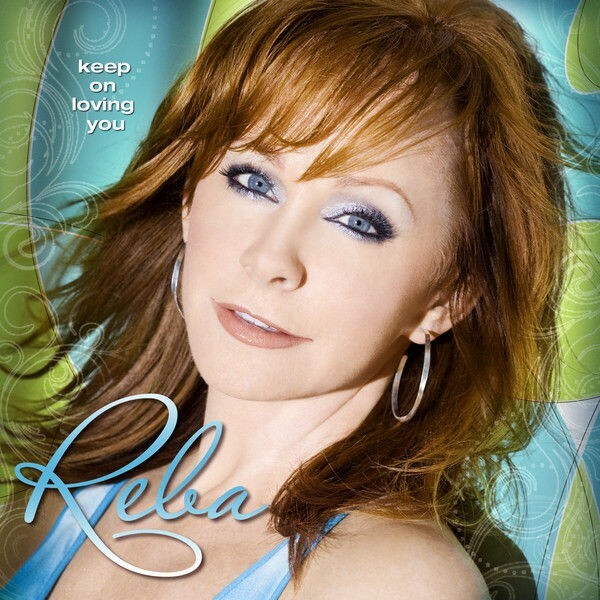 In mid-2007, McEntire announced the release of her twenty-fifth studio album, Reba: Duets, on September 18. McEntire stated that out of all the albums she had previously recorded, her newest release was particularly special: "This is an album that will go down in history as probably my favorite album to record because I got to work and sing and be with my friends. Out of everything in this whole career that I can say that I'm the most proud of, are my friends. And here's the proof." In promotion for the album, McEntire made appearances at radio shows and on The Oprah Winfrey Show September 19. The album's lead single, "Because of You"?a duet with Kelly Clarkson, who originally recorded the song?became her fifty-fifth Top 10 single on the Billboard Hot Country Songs chart, tying her with Dolly Parton, who also had the same amount of Top 10 records. The album was given high critical praise from magazines such as PopMatters, which called McEntire's vocals, "to sound sweet without being syrupy, while being extremely powerful. McEntire's vocal strength yields a different kind of authority than the bluesy, drawling growl of Janis Joplin, the weathered rasp of Marianne Faithfull, or even the soul-shrieking powerhouse of Tina Turner. Instead, Reba's voice combines the aspects of all three singers but tempers it with a Southern sweetness and an unmistakable femininity." The album contained ten tracks of duets with country and pop artists, including Kenny Chesney, LeAnn Rimes, Trisha Yearwood, Carole King, and Justin Timberlake. 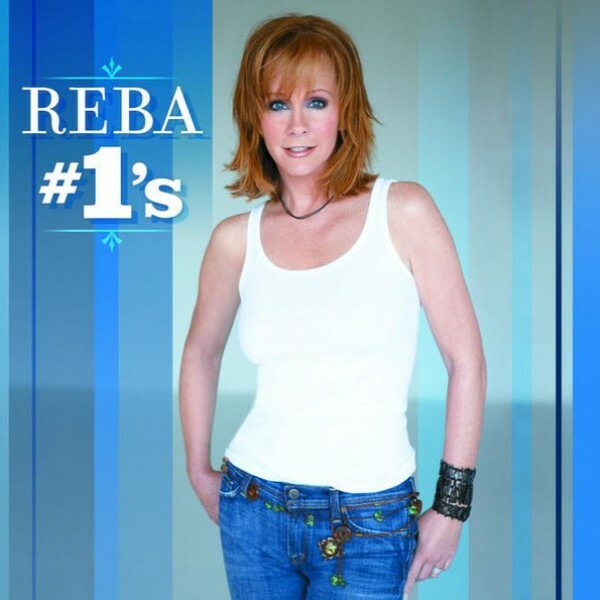 Reba: Duets peaked at No. 1 on the Top Country Albums chart, while also becoming her first album in her thirty-year career to peak and debut at No. 1 on the Billboard 200, with 300,536 copies (according to Nielsen Soundscan) sold within its first week of release. On January 17, 2008, McEntire embarked on the 2 Worlds 2 Voices Tour with Clarkson, which began in Fairborn, Ohio and ended in November of the same year. A month after its release, the album was certified platinum by the Recording Industry Association of America on October 19, 2007. The album's only other single was "Every Other Weekend". Recorded on the album as a duet with Chesney, it was released to radio with its co-writer, Skip Ewing, as a duet partner. In November 2008, McEntire announced that she would be departing from her label of twenty-five years and signing with the Valory Music Group, an imprint of Big Machine Records (coincidentally distributed by MCA and Mercury's parent, Universal Music Group). Under MCA, she had sold a total of sixty-seven million records worldwide and won two Grammys. The switch to Valory reunited McEntire with the label's president, Scott Borchetta, who had worked as senior vice president of promotion at MCA during most of the 1990s. McEntire later commented on her label switch, stating, "I am thrilled to be joining the Valory team. Scott and I worked together on some of the biggest singles of my career, and I am excited to renew our partnership." In November 2008, MCA released a 50 Greatest Hits box set compilation album, containing three CDs, from 1984's "How Blue" to 2007's "Because of You". On December 20, 2010, McEntire scored her 35th Billboard number-one single in the U.S. with "Turn On the Radio". The second single from All the Women I Am was a cover of Beyoncé's "If I Were a Boy", which McEntire took to No. 22. After it came "When Love Gets a Hold of You" at No. 40 and "Somebody's Chelsea" at No. 44. The latter was the only single that McEntire had co-written since "Only in My Mind" in 1985. McEntire later announced that she would be visiting 31 cities on her All the Women I Am Tour, late that year with The Band Perry, Steel Magnolia, and Edens Edge as opening acts on different stops of the tour. Dates for the tour were announced July 6, 2011. 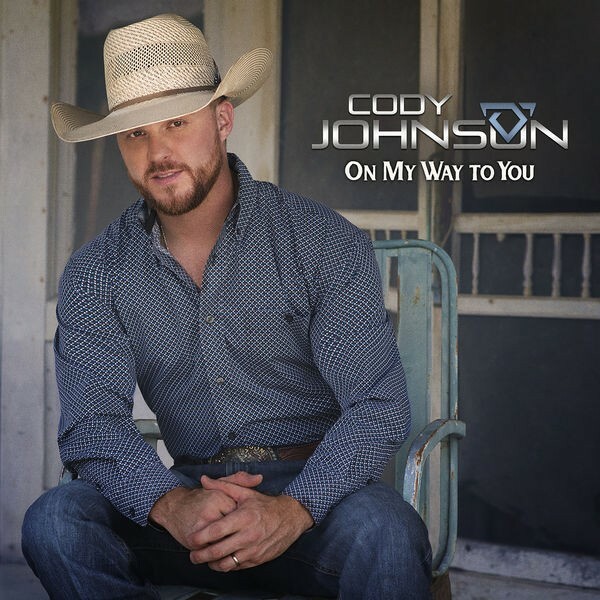 Her first single for the new label, "Going Out Like That", was announced December 16, 2014 and was released on January 6, 2015. It served as the lead-off single to Love Somebody, McEntire's twenty-seventh studio album, released on April 14, 2015. Love Somebody debuted at No. 1 on the Billboard Top Country Albums?her twelfth number-one album on the chart?and No. 3 on Billboard 200, selling 62,469 copies in the U.S. The album has sold 171,600 copies in the U.S. as of October 5, 2015. In 2016, McEntire was selected as one of thirty artists to perform on "Forever Country", a mash-up track of Take Me Home, Country Roads, On the Road Again and I Will Always Love You which celebrates 50 years of the CMA Awards. McEntire released her third Christmas album My Kind of Christmas on September 2, 2016. The album was exclusively sold at Cracker Barrel and online. She also announced she would soon be selling her own line of clothing, home decor, jewelry and other things under the "Rockin' R by Reba" line also at Cracker Barrel. McEntire was a guest judge on the July 13, 2016 episode of America's Got Talent. She used her golden buzzer, which she could only use once and allowed an act to go straight to the live shows, on contortionist Sofie Dossi. On December 15, 2016, McEntire announced that she was releasing her first Gospel album titled Sing It Now: Songs of Faith & Hope. It was released by Nash Icon/Rockin' R Records on February 3, 2017, and consists of two discs. Disc one contains traditional hymns while disc two contains original tracks. "Softly and Tenderly", featuring Kelly Clarkson and Trisha Yearwood, was the first track off the album released. Another track on the album, "In the Garden/Wonderful Peace", features The Isaacs. Jay DeMarcus of the Rascal Flatts produced the album. The first single off the album is "Back to God". In January 2018, McEntire won the Grammy Award for Best Roots Gospel Album, her first nomination since 2007, and her first Grammy Award win in more than twenty years, since 1994. She also headlined the C2C: Country to Country festival in the UK alongside Brad Paisley and Zac Brown Band in March. Because of its limited release in 2016, on October 13, 2017 My Kind of Christmas was re-released - this time including songs with Vince Gill, Amy Grant, Darius Rucker and Lauren Daigle - on her website and through iTunes. Reba returned to host the 53rd Academy of Country Music Awards on April 15, 2018. On July 25, 2018, it was announced that Reba would be one of four honorees for the 41st annual Kennedy Center Honors, along with Cher, Philip Glass, and Wayne Shorter. The creators of the musical Hamilton will also be celebrated. The ceremony will be held December 2, 2018 and broadcast on CBS December 26, 2018. On December 6, 2018, Reba performed "The Lord's Prayer" at the Texas funeral of the former 41st President of the United States, George H. W. Bush. McEntire will release her twenty-ninth studio album Stronger Than the Truth on April 5, 2019. When Reba McEntire made her Grand Ole Opry debut on September 17, 1977, she almost did not make it in the door after a guard at the Opry gate missed her name on the night's list of performers. Her parents and older sister, Alice, drove 1,400 miles round trip from their Oklahoma home to see what turned out to be Reba's three-minute performance that night. Her act was cut from two songs to just one? "Invitation to the Blues"?because of a surprise appearance by Dolly Parton. McEntire was inducted into the Grand Ole Opry on January 17, 1986. "The Grand Ole Opry is a home," she says. "It's a family. It's like a family reunion, when you come back and get to see everybody." During the 1980s and 1990s, almost all of McEntire's music videos were being described as "mini movies". In each video, she would portray a different character, which distinguished her music videos from other videos released by artists during that time. Her music videos alone have earned 4 award wins and 27 award nominations throughout her career. In the late 1980s, McEntire became interested in an acting career, eventually hiring an agent. In 1989, she co-hosted Good Morning America on ABC. In October 2001, McEntire premiered her half-hour television sitcom Reba on the WB network. The show was based around divorced mother Reba Hart, who learns how to handle life situations after her husband divorces her in order to marry his dental hygienist--with whom he's been cheating and gotten pregnant--and then their teenage daughter becomes pregnant as well. Reba garnered critical acclaim and success, becoming the network's highest-rated television show for adults ranging from the ages of eighteen to forty nine. The show ran for six seasons and earned McEntire a nomination for a Golden Globe award. It was cancelled on February 18, 2007; the series finale had 8.7 million viewers. In January 2017, it was announced that McEntire would star and produce a Southern drama series for ABC, called Red Blooded. It was reported in May that ABC ultimately turned down the show, so it moved to being shopped around to other networks. In January 2018, Reba was chosen to portray KFC's first female Colonel Sanders. The commercials ran through the end of April 2018. McEntire's sound has been influenced by the country music of Bob Wills, Merle Haggard, Dolly Parton, Barbara Mandrell, and Patsy Cline. In college, McEntire would attend local dances at the Oklahoma-Texas border so she could dance to Wills's music, commenting that, "it didn't get any better than dancing to Bob Wills music". She also explained Merle Haggard's influence on her career, stating "I had every album he ever put out", and would sing "every song he did", along with her brother, Pake and sister, Susie. In addition, her first major hit, "Sweet Dreams" was a remake of Patsy Cline's version of the song, according to McEntire herself. Two of her siblings have also had careers in the music industry. Her brother Pake dabbled in the country music industry in the late 80s but returned to Oklahoma after a brief stint. He owns and operates a 1,000 acre ranch near Coalgate, Oklahoma, and continues to rodeo. Her sister Susie is a successful Christian music singer who travels the country with her husband, speaking and performing. She also has an older sister, Alice Foran, a retired social worker who resides in Lane, Oklahoma. Her niece, Calamity McEntire, is an assistant basketball coach at the University of Dayton. In 1976, McEntire married steer wrestling champion and rancher Charlie Battles who was ten years her senior and had two sons. The couple shared a ranch in Oklahoma. In 1987, McEntire divorced Battles and moved to Nashville, Tennessee to pursue her career. In 1989, McEntire married her manager and former steel guitar player, Narvel Blackstock. The couple wed at Lake Tahoe on a boat in a private ceremony. Together, the pair took over all aspects of McEntire's career, forming Starstruck Entertainment, which was originally designed to help manage her career. From her marriage to Blackstock, McEntire inherited three stepchildren - Chassidy, Shawna, and Brandon - and then gave birth to a son, Shelby Steven McEntire Blackstock, in February 1990. On August 3, 2015, it was announced in a joint statement on McEntire's website that she and Blackstock had been separated for a few months after twenty-six years of marriage. McEntire announced in December 2015 that their divorce had been finalized on October 28, 2015. Despite the divorce, McEntire remains very close to her three stepchildren as well as the Blackstock family. She adores her stepchildren's six children and considers them her grandchildren. McEntire's stepson Brandon Blackstock is married to singer Kelly Clarkson. Kelly gave birth to their first child, a daughter, River, on June 12, 2014. They had their second child, a son, Remington ?Remy?, on April 12, 2016. Speaking about their impending marriage in 2013, McEntire stated she was "Thrilled to death, to have my buddy as my daughter-in-law. I mean, who could ask for more?" McEntire is a Christian, and she has stated that her faith in God has helped her immensely throughout her life. McEntire has the second most wins for the Academy of Country Music's Top Female Vocalist Awards with seven. Reba holds the record American Music Awards for Favorite Country Female Artist (twelve). She also holds the distinction of being the first to win the Country Music Association's Female Vocalist of the Year Award four times consecutively. Martina McBride won Female Vocalist four times, although not consecutively. In 2013, Miranda Lambert tied McEntire to win Female Vocalist four years in a row and in 2016 Carrie Underwood joined this elite club by winning her fourth Female Vocalist award. McEntire is also a rare musical artist to achieve solo number-ones across four decades (1980s, 1990s, 2000s, 2010s). She holds the record for most CMA Award nominations for a female artist, with 50. Reba also holds the record with the most ACM Awards nominations for a female artist with 48, respectively. In December 2018, McEntire received the Kennedy Center Honor. In 1992, she opened Reba’s Ranch House in Denison, TX. Similar to a Ronald McDonald House, the house incorporates holistic care by providing a calm setting for rest, warm meals for nourishment and sensitive staff for spiritual connections to guests who have loved ones being treated at the nearby Texoma Medical Center. Over the course of her career, she has been and continues to be an active supporter of various charitable organizations including Habitat for Humanity, The Salvation Army, the American Red Cross, Feeding America and Celebrity Fight Night. She has been honored with the Minnie Pearl Award, the ACM Home Depot Humanitarian Award and the Andrea Bocelli Foundation Humanitarian Award for her efforts. In 2018, she was honored with the Horatio Alger Award for Education, Charity Work. Named after the "rags to riches" writer, the award recognizes perseverance and giving back.